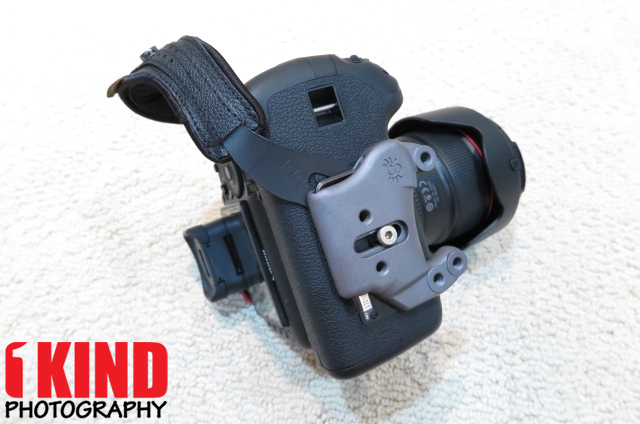 Overview : The Hand Strap's unique curved "S" shape positions the user's hand at optimal shooting position (at 45 degrees to the camera body), allowing easy access to the trigger and all other controls while offering clear access to the battery door and memory card slots. Its combination of design and materials provides real weight support in the correct places: over and above the knuckles, and close to the user's wrist. 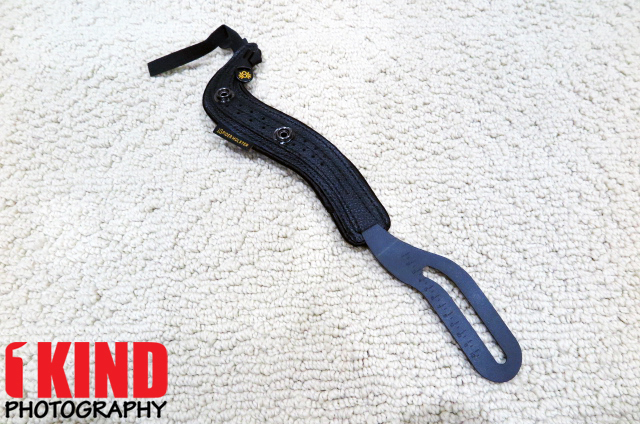 Quality/Usability : The SpiderPro Hand Strap was first announced back in September 2014. 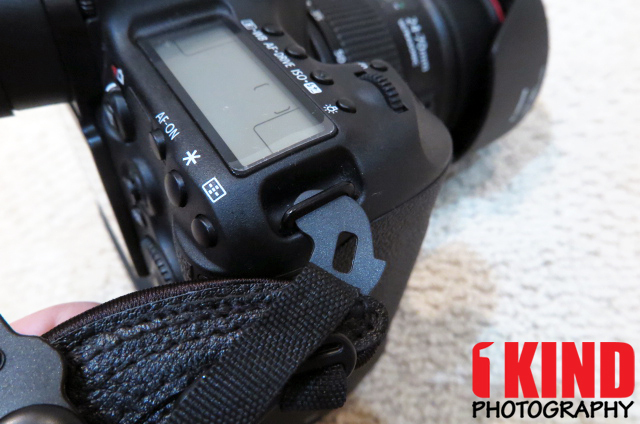 If you've ever used a hand strap, you may have noticed that it has a tendency to get in the way. 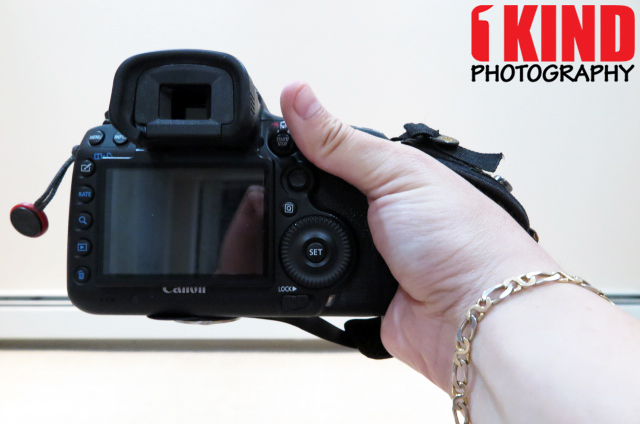 Whether it's when you're trying to swap batteries or memory cards or when you pick up the camera for a quick shot without slipping your hand in. 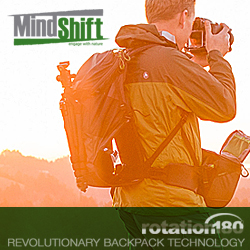 We noticed that from the hand straps that we've reviewed. They also cover majority of your backhand. Spider Holster set out to solve that problem and redesign the common hand strap to eliminate these flaws while making it universal, comfortable and secure. 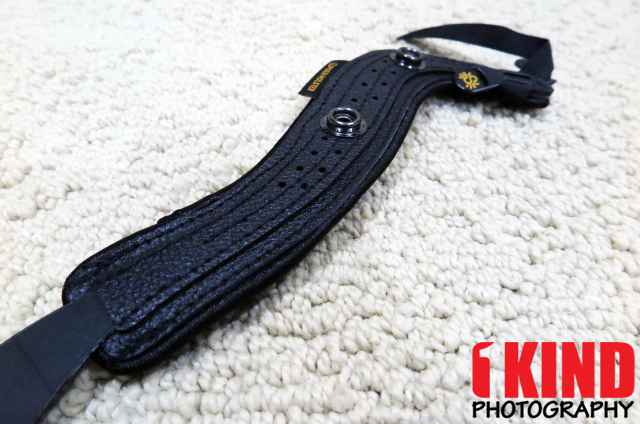 When I first saw it, it looked interesting compared to all the other straps that I've seen and reviewed. 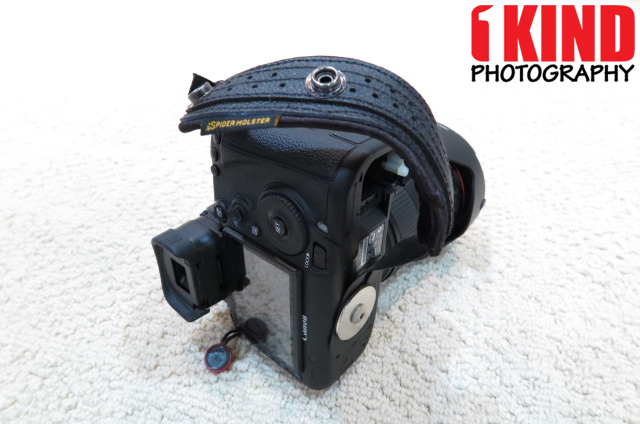 I attended PhotoPlus Expo in October 2014 and Spider Holster was there with a booth. I walked up to Shai (owner of Spider Holster) and the first thing I said to him was "I want to see the hand strap!". Of course, I said "Hi" and "How are things?" before asking to see the strap. 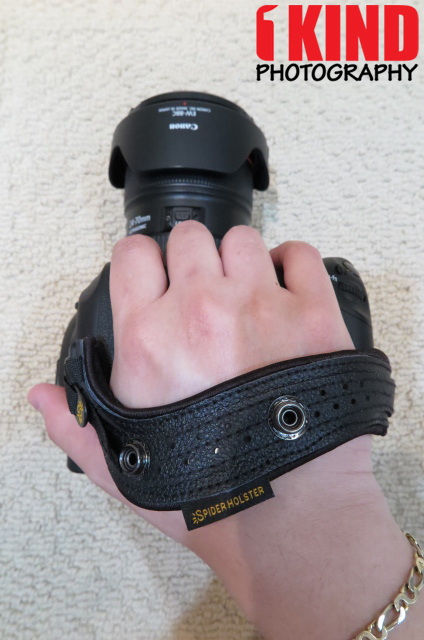 The moment he put the camera in my hands with the strap (pre-production sample), I felt weak in my knees (not really). But the strap felt so comfortable and natural. From that moment on, I knew I had to own this strap! 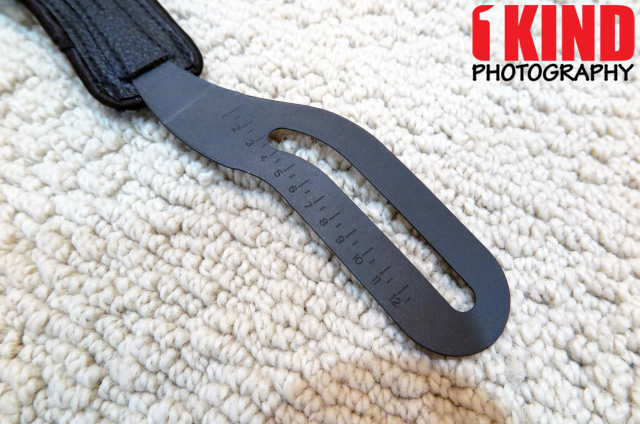 He showed me (and other attendees) the features of the strap and I was sold! Unfortunately, they didn't have any of the strap available for sale. If they did have it, I'm sure it would of sold like hot cakes. But now that its been a few months since PhotoPlus Expo and months since the campaign to preorder is over, I finally have it in my hands. 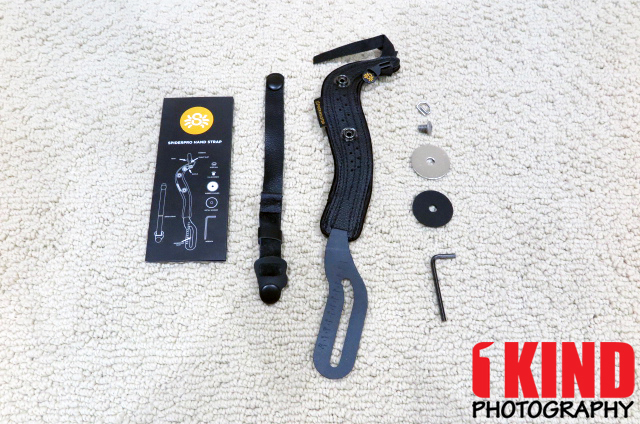 The SpiderPro Hand Strap comes with the hand strap, eyelet, screw mount and washer, hex tool, second strap for added support and pamphlet on how to install. 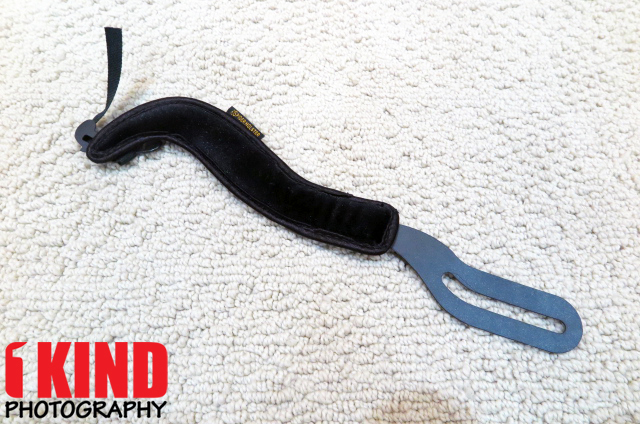 As I mentioned before, the hand straps that we've all seen and used can either be uncomfortable, bulky or gets in the way. 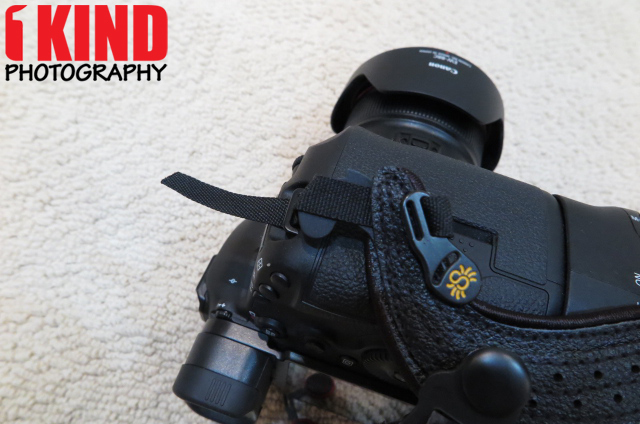 The SpiderPro Hand Strap addresses most of these problems by going with an S-shaped design that curves back away from your camera's hand grip. Not the typical huge pad that takes up majority of your backhand. And yes, that is leather. 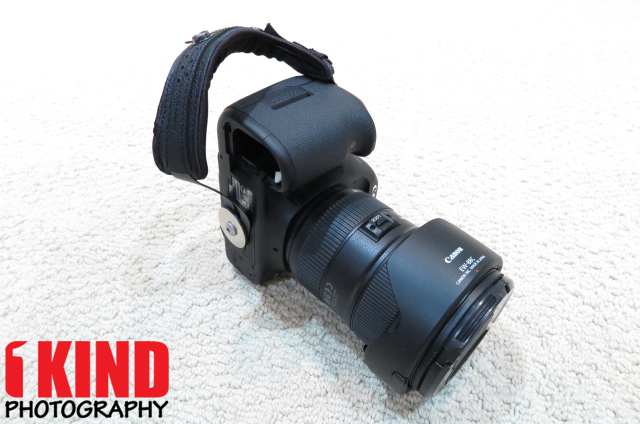 A flat loop of thin but extremely durable material lets you connect the strap to your camera body between any quick-release plate you use on the bottom of your camera. That means you don't need a special plate or connector to use the SpiderPro. That same durable plastic material is used to hook into the eyelet. The underside of the SpiderPro Hand Strap is padded with memory-foam and wrapped in velour to give you that extra comfort. If this doesn't scream quality, I don't know what will. 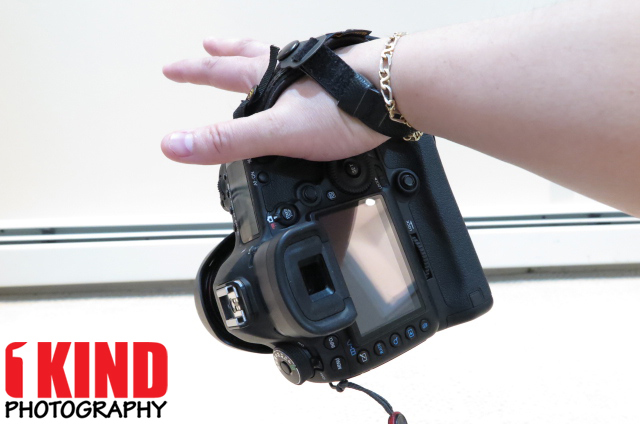 With just the SpiderPro Hand Strap, it stays and feels secure in your hands. 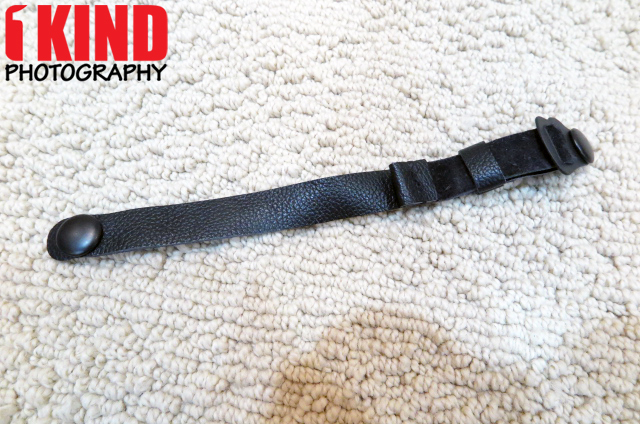 But if you want that added protection, you can snap on the leather wrist strap for added support. 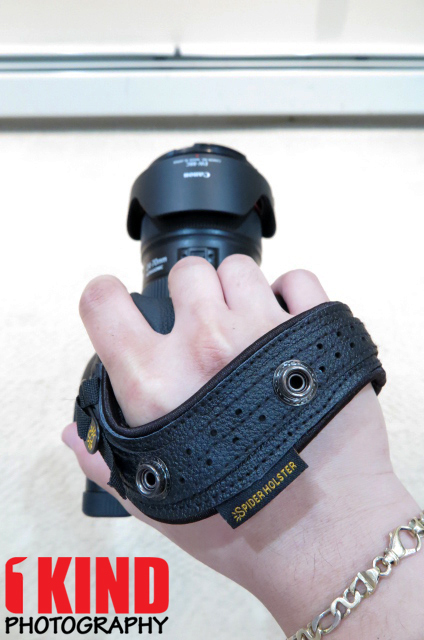 This strap wraps around your wrist so you can actually let your hand dangle without putting a death grip on your camera. 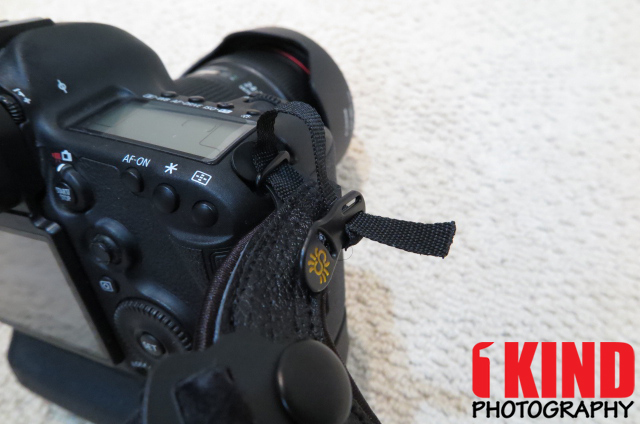 The images above shows the SpiderPro Hand Strap attached to a Canon 5D Mark III. 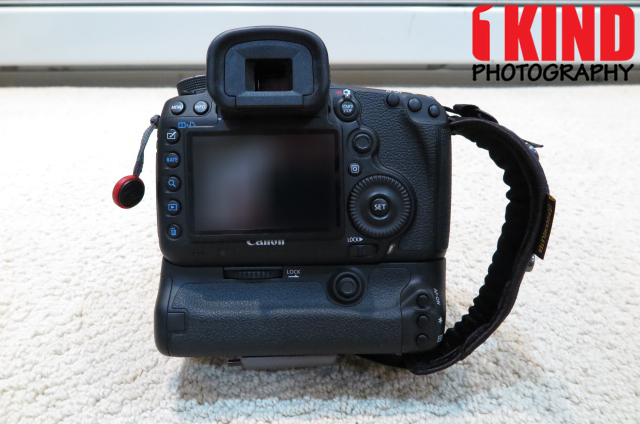 Set up is similar on all Canon bodies. 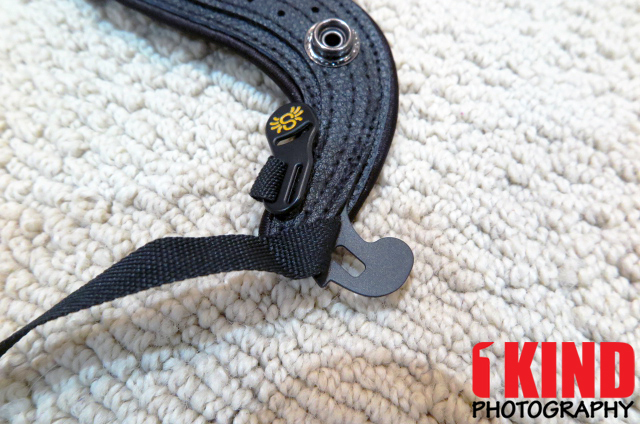 For Nikon users, installation requires you to remove the eyelet ring from the camera body and replace it with the one that is included with the strap. 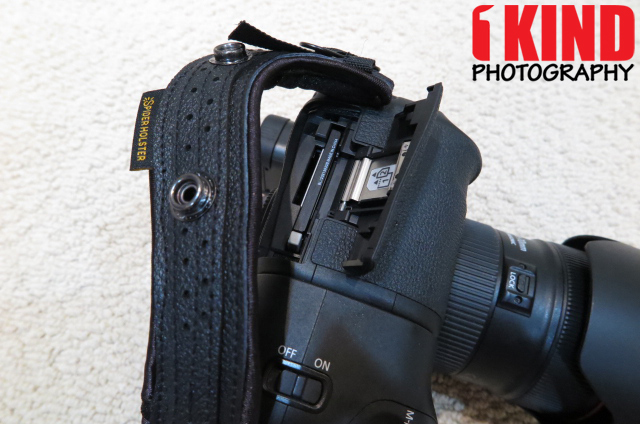 By having the S-shaped design, this puts the strap out of the way of the battery door and card compartment. 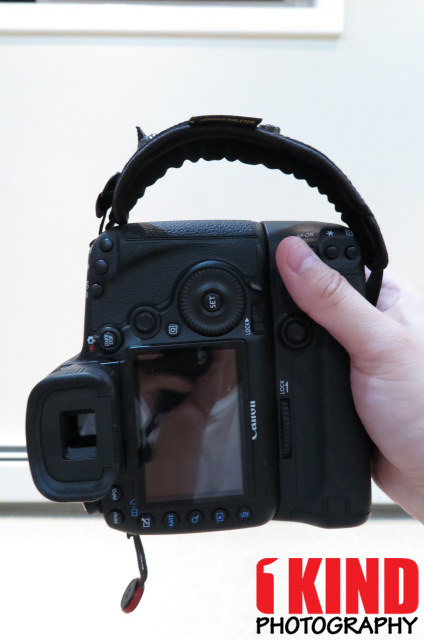 Since it leaves the grip open at the front, you can just pick up the camera and shoot without the hand strap getting in the way. 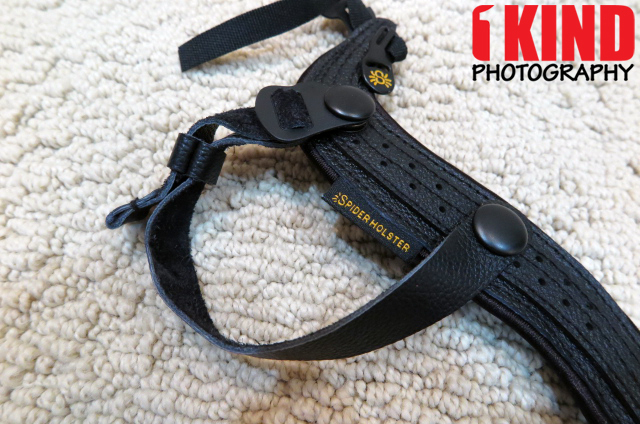 The images above shows the area coverage of the SpiderPro Hand Strap thanks to the new S-curve design as well with the wrist strap. 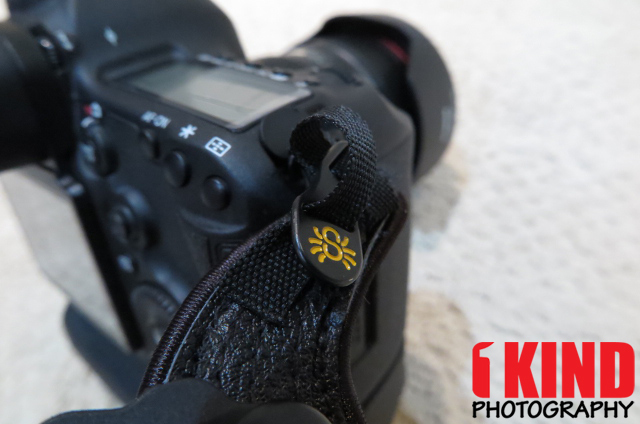 The ability to adjust the strap by loosening the screw to contour and placement on your hand is a huge plus. 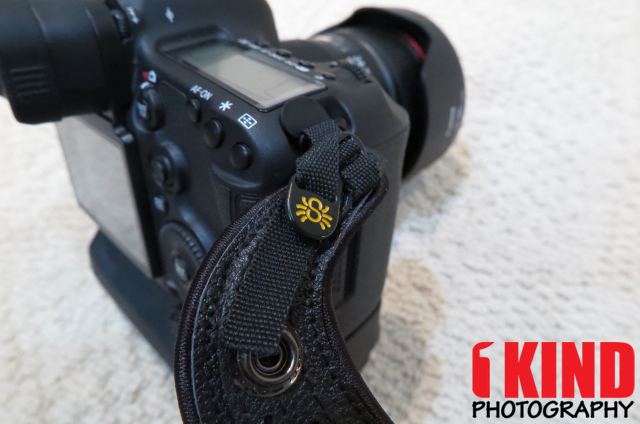 Other straps are limited in movement and is at a set location. 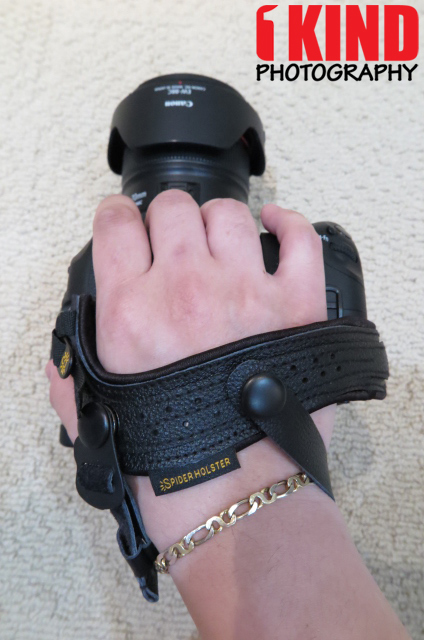 I can have the strap further back closer to my wrist or further up closer to my knuckles. 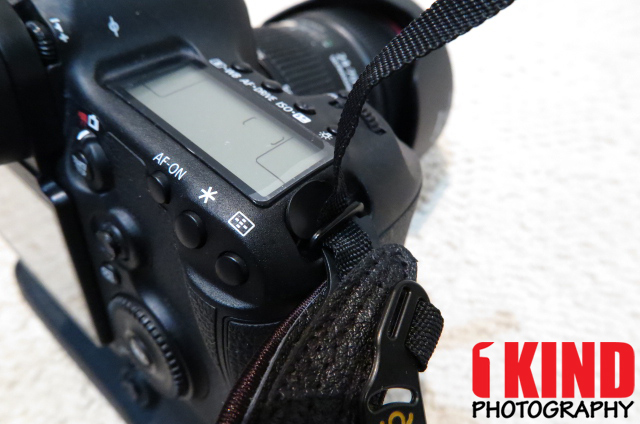 You'll have full access to the buttons on the back of the camera. No more straining your hand because its too tight and having to loosen the strap or having to slide out your hands or feeling. 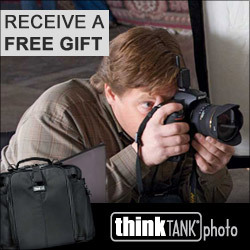 When used in portrait, the strap does not get in the way. 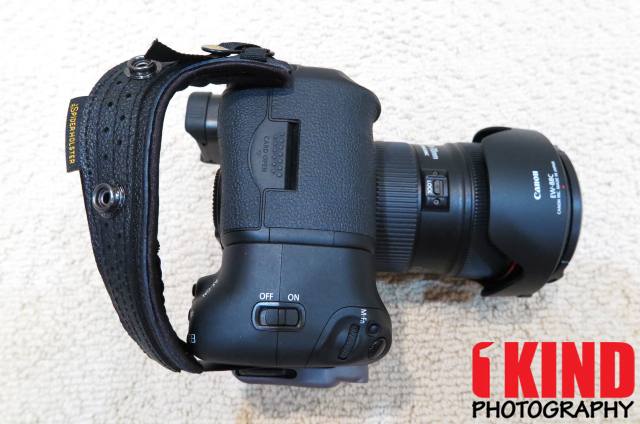 Conclusion : Overall, Spider Holster wants to give you a better grip on your digital SLR and they hit the nail on the head with the SpiderPro Hand Strap. I know I might have said that there were other hand straps that were the best, but as new products come out, things change. 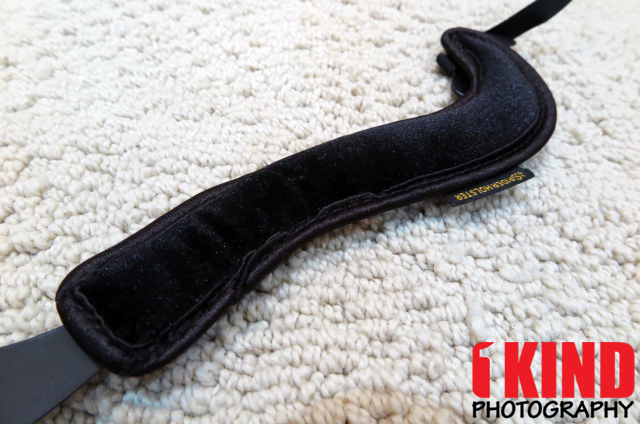 But as of this review posting, this is my all-time favorite hand strap! 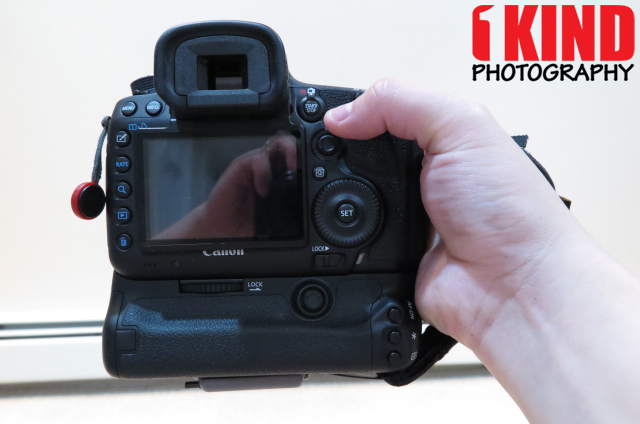 It's not only very comfortable but it gives me full access to the buttons on the back of the camera without having to slide my hand out or strain my hand. It also gives me full access to the battery and memory card compartment. It also doesn't cover majority of your hand with an oversized pad. 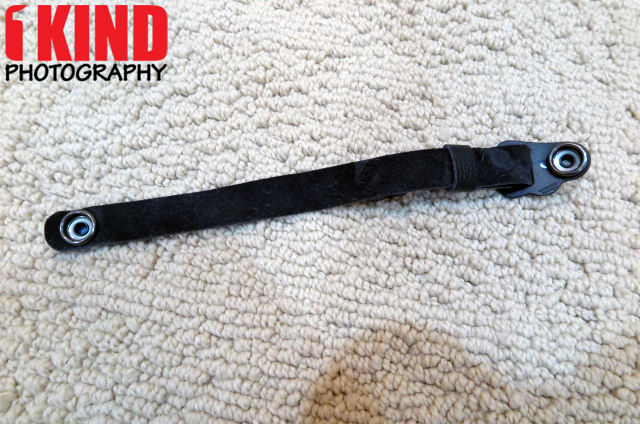 I've reviewed so many sling straps and hand straps that I switch often. 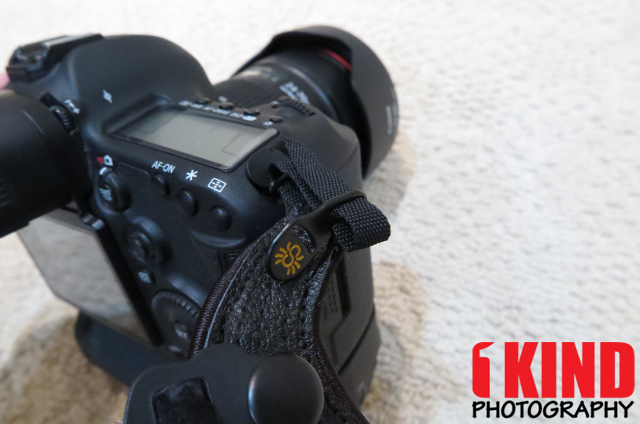 I have to say, this strap will be staying on my camera for a very very long time. Other hand strap makers are going to have a tough one to beat and to knock this off it's throne.